Our Spring Break begins today, and as I look at the 10-day forecast it seems as if our break will have at least a few days of the wonderful spring weather we’ve been dreaming of. As the kids and I brainstormed and made a list of things we’d like to do over the break, I was reminded of another list I picked up while attending the Indiana Children and Nature Network meeting a couple of weeks ago. 1. Explore and play outdoors in a safe place. 2. Follow a trail and discover native plants, wildlife and history. 3. 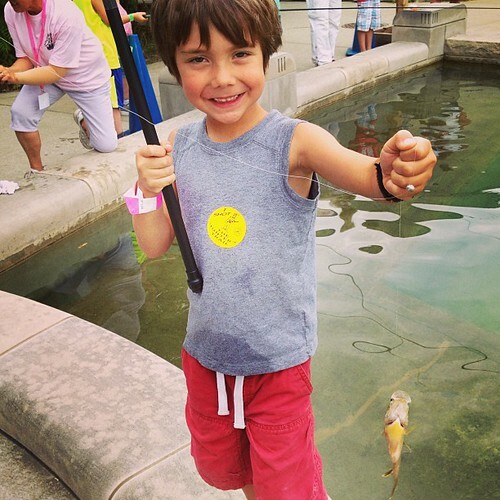 Experience traditional outdoor activities like fishing and hunting. 4. 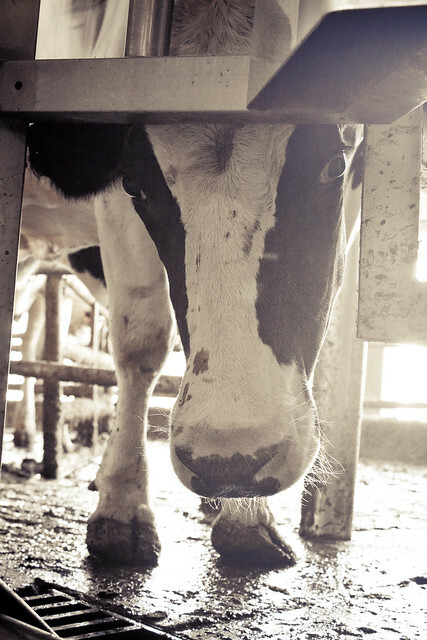 Discover and celebrate Indiana’s past (or whatever part of the world you call home). 8. Plant a seed or tree and watch it grow. 9. Splash and play in streams, lakes and ponds. 10. Enjoy the outdoors using all the senses. 11. Ask questions, find answers, and share nature with a friend. 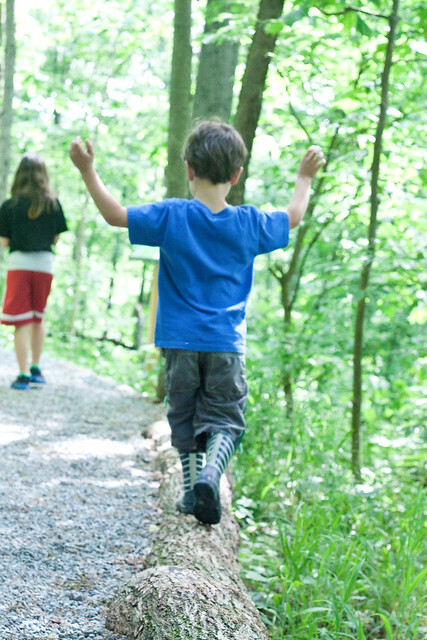 What would you add to your own Children’s Outdoor Bill of Rights? As grateful as I am for my readers, I’m also very grateful for my sponsors. They help me keep the lights on here at The Risky Kids and keep us supplied in batteries to lick. At the same time it gives you a chance to meet some really great people, products and companies. This month’s sponsor is eFamily. eFamily is an app that helps you manage your family moments. A subscription to eFamily allows you to share photographs, videos, and updates with the people you care about, while maintaining your privacy. As part of my sponsorship, I was given a free year’s subscription so that I could try it myself before deciding if I wanted to recommend it to you. While I’m firmly planted on the side of oversharing on the internet (that’s what nearly 7 years of blogging will do to you! ), I can appreciate that not everyone feels the same way. I see eFamily as a wonderful alternative for people who love the connectedness that sharing through technology brings, but desire a more private option. You can learn more about eFamily, as well as enter to win a free one-year subscription for yourself, over at my other blog, Just Like The Number. And thanks to eFamily for being a proud sponsor of The Risky Kids. If you’re interested in joining my wonderful sponsors, please visit my advertising page for more information or contact Angie at theriskykids at gmail dot com. Thank you so much! As soon as I saw this book I knew it was something I’d have to read and share with you! And what better timing than Spring, when we’re all anxious to get outdoors. Go Wild! : 101 Things to Do Outdoors Before You Grow Up , written by Jo Schofield and Fiona Danks, was written to to inspire kids between the ages of 11-16 to explore and enjoy the wild, and to make it a part of every day life. The authors wrote it with an emphasis on fun, but also with a passion for making outdoor skills real and attainable. They noted that many kids are familiar with extreme survival shows. And while they may happily watch on them TV, they never realize they can attempt actual (though less dramatic) outdoor expeditions in real life. While the book is geared toward tweens and teens, I found several activities that I could tailor to include Eli (6), such as making a one-person leaf hut, making a tepee, and knot tying. However the emphasis of the book is teaching outdoor survival skills to older kids with the idea that at some point you can turn them loose outdoors by themselves. The book is divided into 8 sections: Shelter, Fire, Foraging, Cooking Outdoors, Tools & Weapons, Bushcraft (wilderness) Skills, Water & Keeping Clean, and Keeping Safe. It would serve as a valuable resource not only to adventurous kids, but to families or adults who want to learn more about outdoor camping and survival skills. A few activities we’ll be trying for sure? Crayfishing, for one! The authors describe how to build a simple crayfish trap, using a small,plastic basket with holes for the water to drain, some string, and raw bacon. While we probably won’t eat them, I know we’d enjoy trapping and observing them for a bit. How about slingshot paintballing? Fill paper towels with flour, twist them up and tie or tape them shut. After you have enough ammo for a fight, use slingshots to launch them at each other. They’ll explode on impact! It’s totally unnecessary for outdoor survival, but sometimes you have to lure kids (especially older ones) away from screens with the promise of great fun first. From the weapons section I’d also love to make our own peashooters. 10 Ways to Ring in Spring! Tomorrow is the first day of spring! Can I get an amen for those of us who feel as if this winter has overstayed its welcome? To celebrate, I came up with 10 playful ways to ring in spring’s arrival. 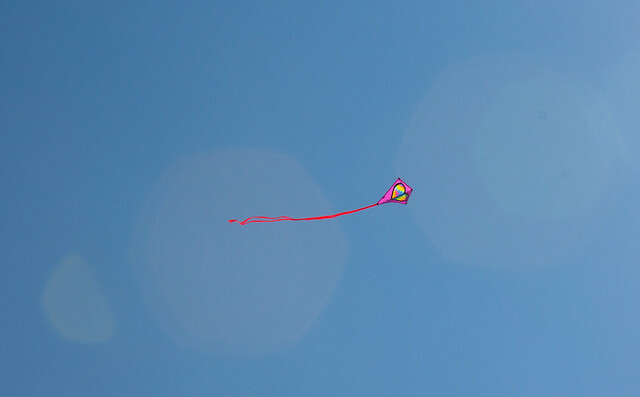 Take advantage of spring’s blustery days and fly a kite! I don’t buy fancy kites, and I’ve been known to scoop up a few when I see them on sale. If we lose one or the string is hopelessly tangled we just move on to a new one! 2. Enjoy a spring shower. 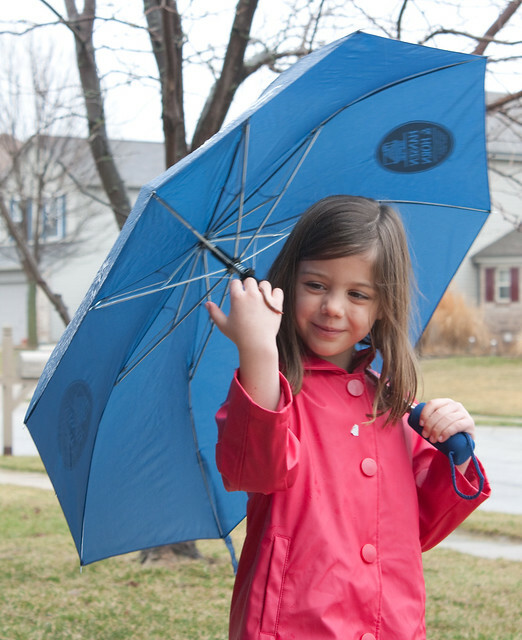 Stomp in the puddles, twirl your umbrella, make friends with the worms! Who says you can only play outside when it’s sunny and dry? Not us! 3. Try letterboxing or geocaching. 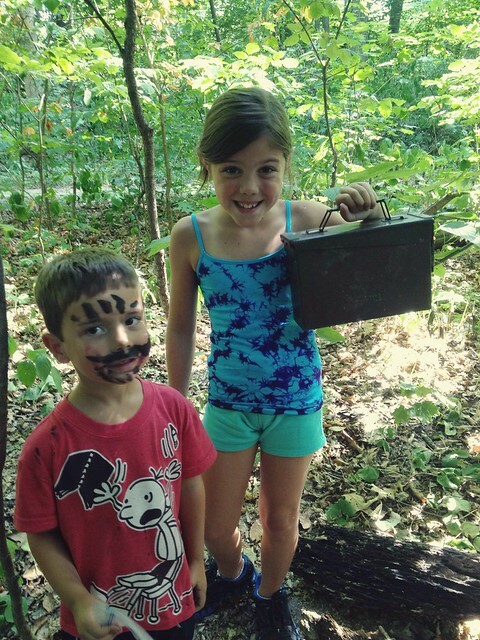 Spend the dreary days learning about letterboxing and geocaching so that you’re ready to go when good weather and inspiration strikes. If you’re just starting out, it can be easier to locate the cache in the spring, before the heavy foliage of summer takes over. While you’re searching, take note of what you see. What’s budding and blooming? Then return in the summer, fall, and winter and note how the location has changed through the seasons. 4. 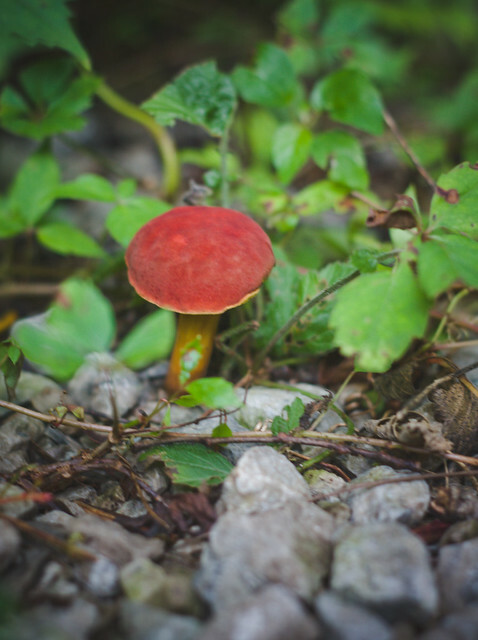 Forage for mushrooms or edible plants. Find some guidebooks to help you. Not only are they a valuable resource, they can provide hours of quiet time on icky weather days as kids leaf through the pages. Last fall we discovered that we can forage wild hickory nuts in our neighborhood. Who knows what we’ll find this year? I’ve got my fingers crossed for morels! 5. 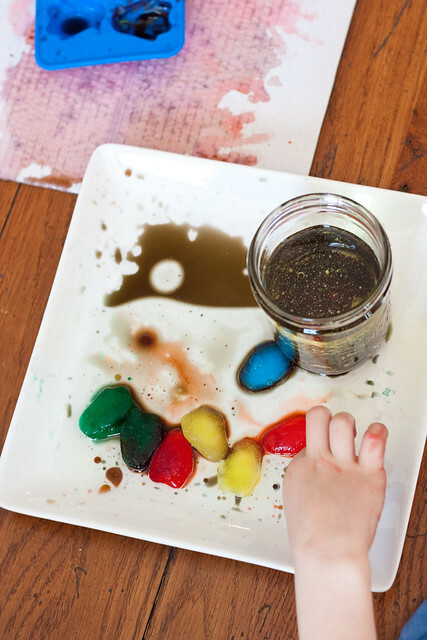 Play with chalk and puddles. Colorful sidewalk chalk is another item I keep on hand year-round and buy extras when I see them on sale. We call mixing chalk and water making a “colorful river” at our house, and it’s beautiful fun. 6. Learn a new outdoor game (or rediscover a childhood favorite). Or make up your own, as we did in the photo above! (The game was War Ball. Everyone dragged out a variety of balls from their garages, lined them up in the middle, and split into teams. When the game starts, everyone rushes to the center, grabs a ball, and starts throwing. Like Dodge Ball, when you’re hit, you’re out.) Sure, you remember playing hopscotch, foursquare, and red rover … but do your kids know how to play? Get a group of kids involved in a game and then slowly back away and let the magical childhood memories commence. We’ve been scoping out what we think is the perfect tadpole habitat. It’s still too cold, but in a few weeks we hope to collect some tadpoles and watch them grow. Stay tuned for details! 8. Play in the mud. 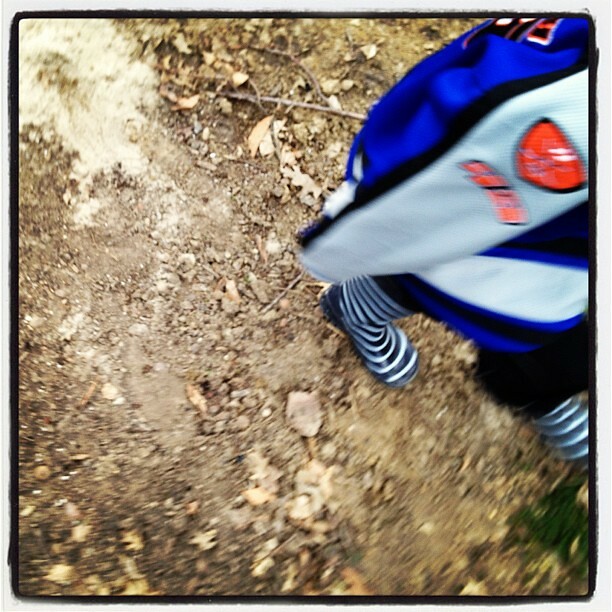 Little toes were made for squishing in the mud. Heck, so are big toes, for that matter! 9. Explore your local nature center. Bring the outdoors indoors! 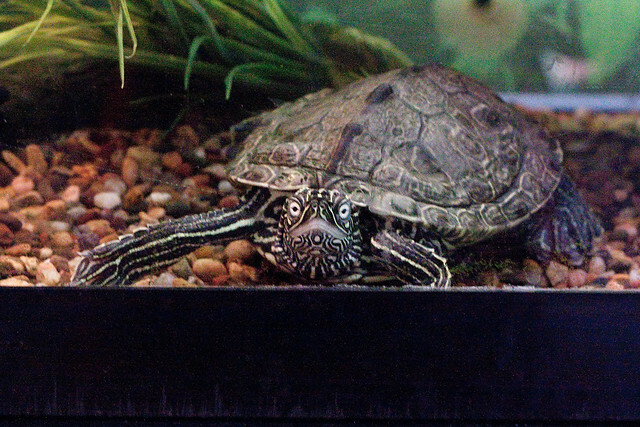 Many nature centers switch their exhibits and programming for spring. They might even offer some special spring-themed hikes or activities. 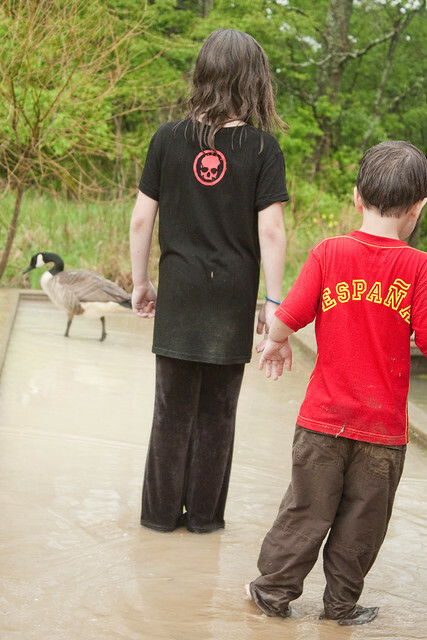 Click the link above for more information on how to find a nature center near you. 10. Give indoor rock climbing a try. This is on our Spring Break must-do list. My kids have been begging to try! What are your favorite activities to ring in spring? Be sure to share them in the comments! For more outdoor inspiration, follow The Risky Kids Pinterest boards! Shortly after starting The Risky Kids, contributor Lisa and I met up in Louisville for a Risky Summit. In all actuality, it was just a cover for us to hang out for a couple of days under the guise of “official blog business.” To keep it honest, we did have an actual meeting where we discussed our vision for The Risky Kids. So what if that meeting just happened to be in a bar, over drinks? Still counts. One of our ideas was to have a series of posts detailing life skills we thought every kid should know before leaving home. It’s a topic that’s near and dear to my heart, because it’s one I personally struggle with. Maybe you can relate. As a stay-at-home mom for many years, the bulk of the household tasks have fallen on me. I felt as if things such as laundry, cleaning, planning and cooking meals were my job. And to be honest, I actually enjoy these domestic tasks. Even more so, now that both kids are in school, I enjoy doing them alone and in peace! And so while I knew my kids were old enough to fold laundry, clean bathrooms, and help with meal prep, I often did this things while they were in school. It was just easier. This past year, though, life has changed a bit. I work around 15 hours a week outside the home. In addition, I’ve been focusing on blogging as a business and doing some freelance writing as well. Not only are my hours in which I can dedicate time to these tasks diminished, I’m also realizing that my kids are getting older. Not only are they more than capable of taking of tasks on their own, they need to learn these things before they leave home. Otherwise I’ve done them a grave disservice as a their parent. 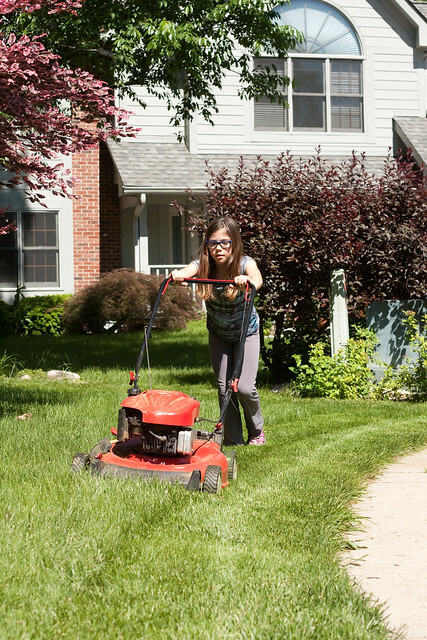 Beyond household tasks, there are many other valuable life skills they’ll need to learn before they strike out on their own. I realize it’s time to bring this series to life. As with many of the things I write about on The Risky Kids, it keeps me honest. It forces me to walk the talk, if you will! And in following along, I hope it will help and inspire you. Here’s a list of topics I’ve come up with so far, in no particular order. If you think of anything that’s missing from the list, please share it in the comments. This is by no means a finite list – I’d love to see it grow and become a valuable resource to parents who want to raise competent, confident adults who can function in society. What do you think? Anything else you would add? Do you feel like your kids are pretty proficient in most of these things already? I’ll get the first post in the series, on managing money, up soon. In the meantime, I look forward to hearing from you! 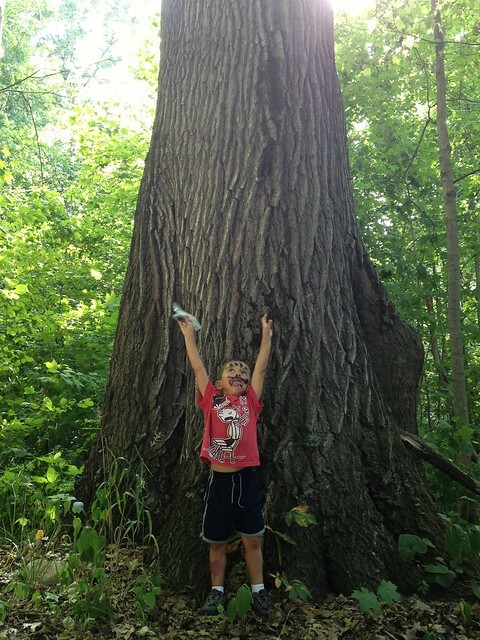 Getting Kids Outdoors: ICAN Do It (and You Can Help)! Yesterday I had the privilege of sitting in a room filled with people who have the same mission as we do here at The Risky Kids: to get kids outside as much as possible. I was there with educators, non-profits, medical professionals and law enforcement officers to learn more about the Indiana Children and Nature Network (ICAN). The Medical Community (mainly pediatricians and family practitioners): using them to spread the word and educate parents on the importance of children spending time outside each day. Early Childhood Educators: introduce young children to the outdoors early to build lifelong habits. 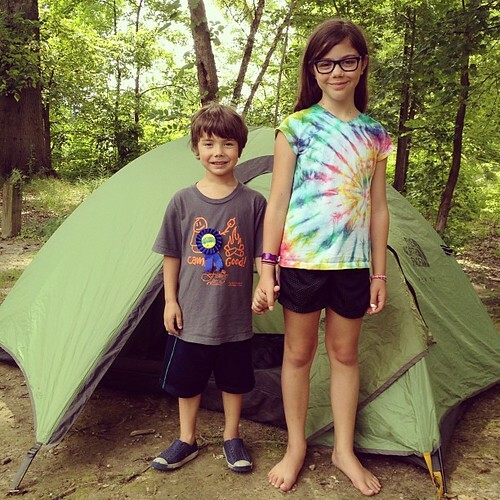 Family Nature Clubs: facilitate the development of Family Nature Clubs throughout Indiana, connecting families and communities to nature. And that’s where I come in. In addition to starting our own Family Nature Club, I’m hoping to help inspire and educate others on how they can do the same. As I sat there listening to the spirited discussions, one audience member pointed out that in the end, it is the parents that need convincing. They have to feel as if they are doing a good thing by letting their kids roam and play outside, instead of feeling like bad or neglectful parents. I stood up and introduced myself and told them about The Risky Kids, and all of my wonderful readers. I told them about how that is exactly what inspires me to share our story week after week: to build confidence among families that they can choose a more playful life, with more joy and less worry. That this kind of parenting is the new (old) normal, and that by giving our kids the gift of freedom and outdoor time we are raising a happy, healthy, self-reliant generation of kids. I will continue to keep you up to date on the progression of ICAN’s mission and on the Family Nature Club. In the meantime, please check out their website, including their resources for starting your own Family Nature Club. If you’re not local to Indiana, check out the Children & Nature Network for more information on how you can get involved. Finally, I’ll leave you with the Nature Connection Pyramid. This was a handout we received and I couldn’t love it anymore. 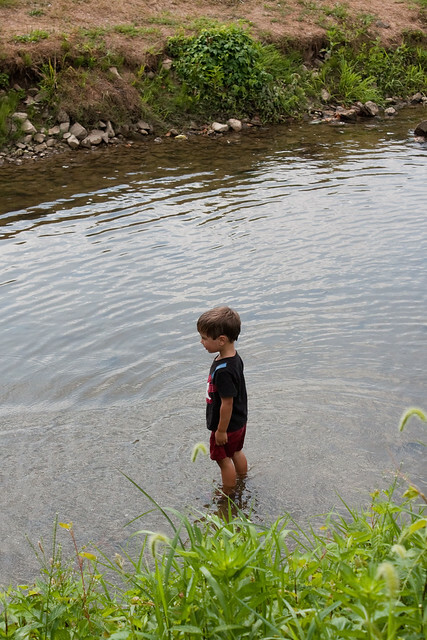 It’s such a helpful and wonderful reminder of how important outside time is for kids, and how easily it can be incorporated into our everyday life. Enjoy … and go play outside! We’re in the process of finally decorating Eli’s room, and he wanted a LEGO theme. I thought it would be fun to have a few canvases hanging up with LEGO pictures blown up, so I asked him to create some scenes for me to photograph. I think this is my favorite one … nothing says “Sweet dreams, son!” like an image of decapitation. I was just thinking that it might be time to toss the Play-dough, as my kids are moving past that stage and never really play with it anymore … and then I saw Electric Dough from Classic Play. I think we’ll hang on to it a little longer! 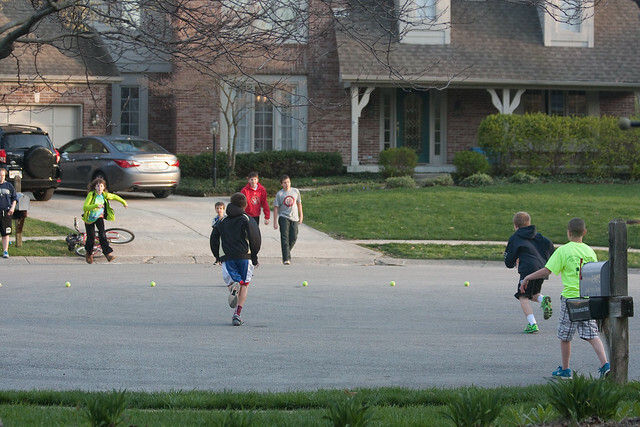 As the weather gets warmer, I bet your kids are itching to get out and play. And yet it’s also the season of ramped up homework, standardized tests, and spring sports leagues. Before you sign up for another activity or insist on extra study time, consider the reasons why giving kids the gift of time to play will benefit them. I read this and I just wanted to hug my kids’ teachers and say thanks. They have so much responsibility on their underpaid shoulders. And this particular teacher is amazing. How cool is this Kickstarter project for Hello Ruby, a children’s book that teaches programming fundamentals through stories and activities? When was the last time you swooned over the illustrations in a coding book?! Finally, I’m still goofing off with math over at Bedtime Math. 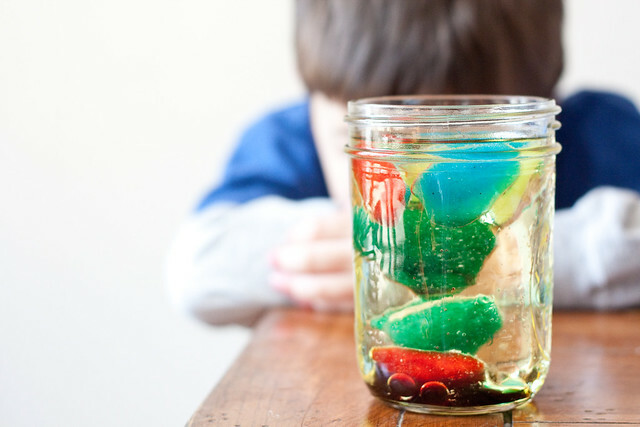 Last month we came up with some silly balloon games, found math in our King Cake, and marveled at frozen bubbles. *This used to bother me a lot. I wouldn’t let the kids win all the time, but every once in awhile I’d “accidentally” make a dumb play or sneak a Candy Land card back in the pile. The other day, after playing him for weeks and losing, Eli handily beat Mike at Mancala. 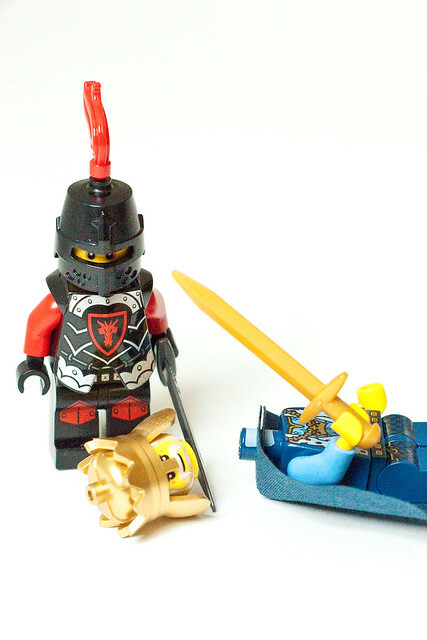 You should’ve seen the sheer joy on his face, knowing he bested his dad fair and square. I’ll never “let” them win again. 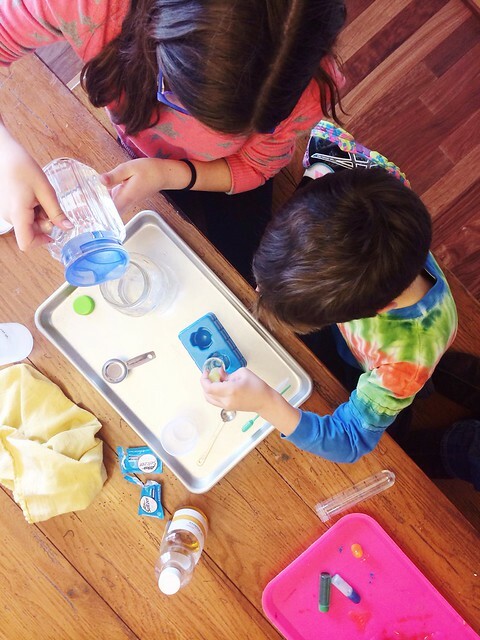 Task: Clean your dishes and make a snack at the same time – with the same machine! My kids are fairly accustomed, by now, to being on the receiving end of some odd questions that start with, “Hey, do you want to …?” But I believe I truly threw them off when I asked them if they wanted to cook something in the dishwasher. Clearly I had some explaining to do, as Elena assumed that we’d be throwing some raw chicken on the top rack right next to the glasses. In Gever Tulley’s book 50 Dangerous Things (You Should Let Your Children Do), he suggests a variety of things that can be cooked in the dishwasher (in appropriate packaging) alongside the dishes, such as chicken, hot dogs or vegetables. In doing my own research, I also found guides to cook lasagna and salmon in the ol’ Whirlpool. Perhaps you’re so intrigued you’d like to get yourself an entire cookbook dedicated to the craft! In the end we chose something simpler: Cinnamon Sugar Apples. It’s a dish I make often on the stovetop, but I thought it would be a perfect opportunity to let Elena create her own recipe and make it herself, from start to (very clean!) finish. Why on earth would you cook something in the dishwasher, and how, exactly, does it work? Well, just to say you did is a good enough reason for us. But if you were especially concerned about energy efficiency, using one machine to do two jobs is a great way to conserve energy. A dishwasher uses jets of hot water to clean your dishes. Because it’s insulated and has its own heating element, it’s really not that much different than an oven – minus the soapy bubbles and water! And why is this a Dangerous Thing? Attitudes are shifting about what is safe for kids to do. Combine that with the rare incidents of kids getting injured by common household appliances that spread like wildfire via TV and internet, and you’ll find many parents choosing to restrict kids’ access and use of appliances. Learning how common appliances, such as dishwashers, ovens, and microwaves work, as well as how to use them, are basic life skills that every child will need before they head off for their own (hopefully) independent lives. Enough talking, though – let’s cook something in the dishwasher! 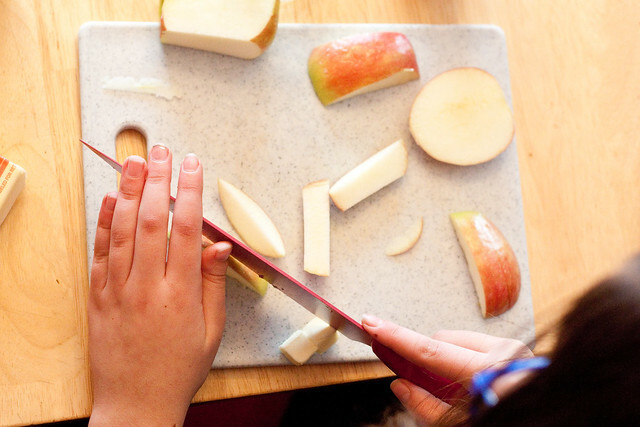 Core apples and dice or cut into thin slices. 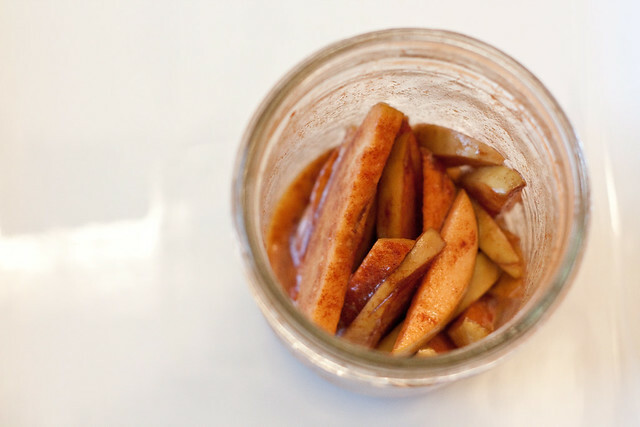 Place cut apples into the mason jar, adding a few pieces of butter to each layer of apples. Add cinnamon and sugar and screw the lid on as tightly as possible. 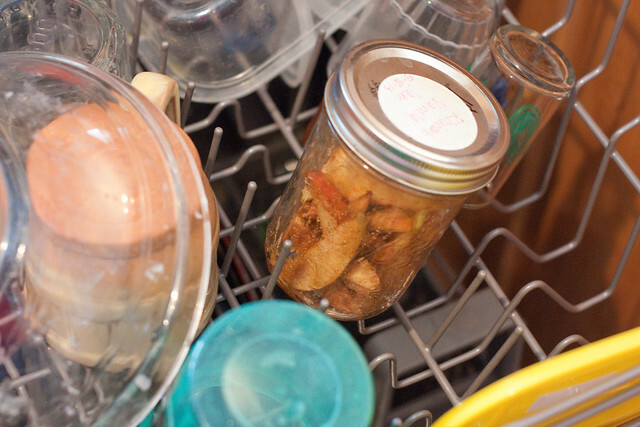 Place jar in top rack of dishwasher. Run the dishwasher at the hottest setting, and make sure the dry cycle completes before opening. Remove from dishwasher and enjoy! What are you brave enough to cook in the dishwasher?